The Dartford crossing toll-bridge on the M25 will enter into a new “free flow” system on 30 November, where the toll-bridge payments will be scrapped in favour of a new traffic congestion reducing online payment system. 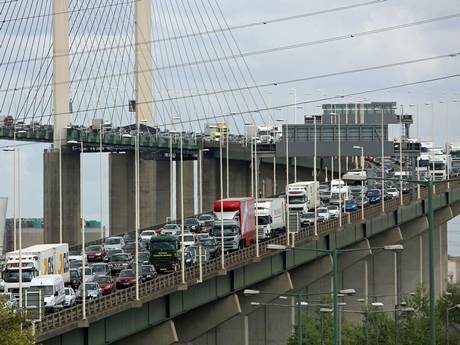 The change from toll-payments to a new system called the Dart Charge has been hailed by the Highways Agency as a way to reduce congestion at Britain’s busiest toll. But a new fine system means drivers can incur a maximum charge of £105 for failing to pay the £2.50 toll. The standard charge for cars will increase by 50 pence to £2.50, while two axle goods will increase to £3 and multi-axle goods will increase to £6.